Gunther Martens is a Professor of German Literature and a member of the Literature Department at Ghent University. He has a Master in "Germanic Languages" (Ghent University, 1998) and a Master in Literary Studies (Antwerp University, 1999). In the period 2006-2010 he was Professor of Literary Theory at the Free University of Brussels and Professor of German Literature at Antwerp University. Gunther Martens is the author of a widely noted monograph on rhetorical and narratological aspects of German literary modernism. He is the editor of several other books. He has written articles that have been published in peer-reviewed journals such as Style, Modern Austrian Literature, Recherches Germaniques, Orbis Litterarum, Neophilologus, Language and Literature and others. He has also contributed a large number of invited essays to edited collections as well as to the International Comparative Literature Association's volume on Modernism. In 2005, he was visiting scholar at the University of Hamburg, working under the auspices of the Research Group Narratology. In 2007-2008, he was a visiting professor at VUB and at UCL (Louvain-la-Neuve). He is a Honorary president of the European Narratology Network and executive committee member of the Internationale Robert Musil Gesellschaft. 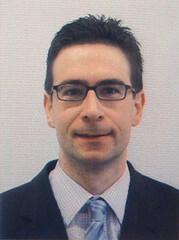 He is co-director of the Ghent Centre for Digital Humanities. He is on the editorial board of the journals Authorship, Frontiers of Narrative Studies and CLW (Cahier voor Literatuurwetenschap).